Preventing miscarriage is not a mystery. Miscarriages are devastating. Often they make you feel powerless. Miscarriage prevention protocols are hard to findand not many health practitioners use them. The mainstream approach to a miscarriage is that it can happen and that you should try again until it works. However this approach leaves you open to recurrent miscarriages which can erode your confidence even further. In this article you’ll find out the five steps I recommend you do first for preventing miscarriage and before trying to conceive again. Check your MTHFR status. – MTHFR is an enzyme responsible for folic acid metabolism in the body. 30-40% of the population have a mutation of the gene responsible for this enzyme. Carriers of this mutation have a higher risk of miscarrying. This is because their bodies are not capable of absorbing folic acid from the diet. This can easily be addressed with the methylated form of folic acid. Your naturopath or GP can prescribe it for you for preventing miscarriage. There are many more steps you can take once you know the cause behind your miscarriage. And to find out what these are please download our complementary Miscarriage Prevention Report. Watch the presentation on how and why miscarriages can be prevented here. You can prevent miscarriages. 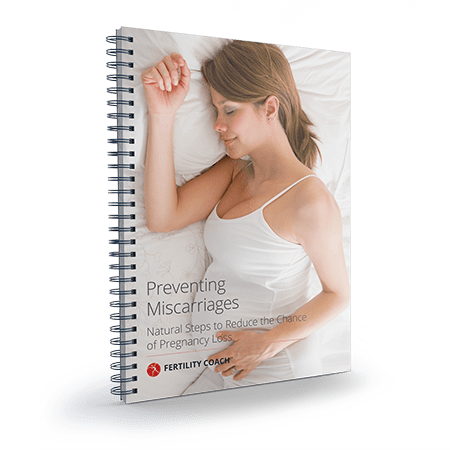 There are proven steps you can take for preventing miscarriages and recurrent miscarriages, so don’t despair! Please share your thoughts with us on preventing miscarriages in the comment section below. I look forward to hearing from you.